Belkin's Miracast Video Adapter lets you mirror your Windows 10 desktop on a TV. Similar to an Android phone, your Windows 10 device has a type of casting built-in—but depending on your hardware you may not be able to use it. 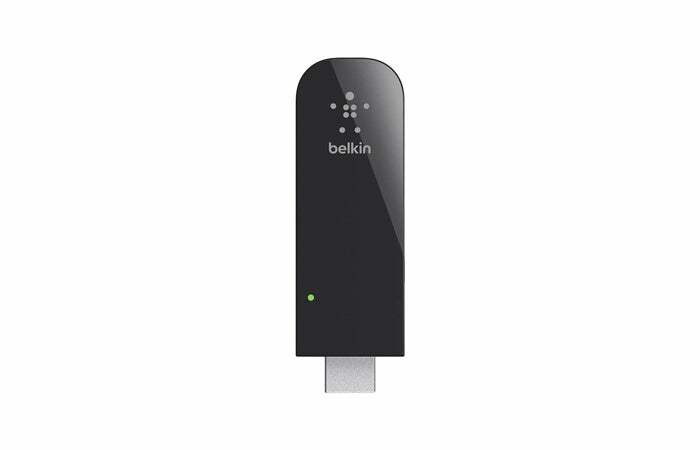 Right now, you can change that by picking up a Belkin Miracast Video Adapter from Verizon for $20. That's about $20 cheaper than what you'll find elsewhere. Miracast is one of two standards—the other being DLNA—that Windows 10 can use to cast content from your Windows 10 device to a television. With Miracast, you can project to your TV as if it was a wireless display for mirroring your PC's desktop. You can also use Edge's casting feature to throw web content onto your TV, or just right-click any media you have on your Windows 10 PC, select Cast to Device and select your Miracast dongle. Miracast is also supported on some Windows 8.1 devices, as well as Android 4.2 and up. The dongle doesn't have a ton of features to speak of—that's the beauty of these devices. 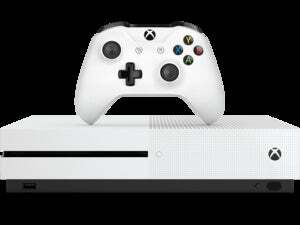 It supports up to 1080p resolution and hooks into the HDMI port of your TV. It will also need a USB port for power. If you have a newer television set, check to make sure Miracast isn't baked in to the TV already before springing for the dongle.